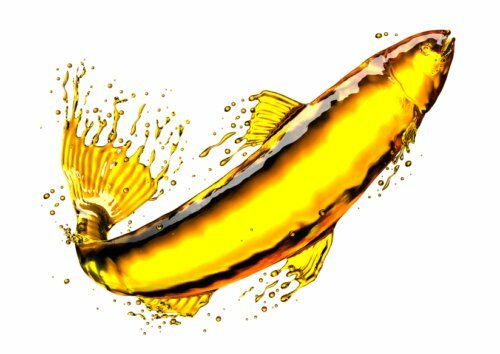 Cod liver oil is taken from the liver of a cod fish. Many people today are not able to stomach eating the actual liver, but the health benefits are too much to pass up. For example, cod liver oil reduces inflammation, is an excellent source of vitamin D and contains vital omega-3 fatty acids. Its health benefits make it one of the most recommended supplements for people who are looking to combat a number of ailments. But it must be taken in moderation and in proportion to whatever ailment it is being used to treat. Cod liver oil is beneficial to people of all ages. One teaspoon of cod liver oil contains just over 40 calories and roughly 4.5 grams of fat. As long as doses are adjusted to match the size and health status of the individual, then it is safe for both adults and children to take this nutritional supplement. Cod liver oil is also rich in omega-3 fatty acids—a fat that is imperative for human health. Omega-3 fatty acids are beneficial for the heart, can help regulate cholesterol levels, and can even help lower levels of depression and ADHD in children, according to studies. Research even shows that omega-3 fatty acids can help protect against dementia and Alzheimer’s! The anti-inflammatory properties found in cod liver oil can help treat allergies, manage stress, and improve cognitive function. The Health Benefits of Cod Liver Oil Are Endless! 1. Prevents against heart disease: Triglycerides are a type of fat in the blood responsible for increasing the risk of heart disease. Cod liver oil lowers high triglycerides and reduces the chances of problems with the heart. 2. Reduces potential for cancer: Research shows that a high intake of vitamin D might lower the risk of cancer. The human body produces vitamin D through exposure to sunlight; however, it may be difficult for some individuals to get the sun exposure they need. Cod liver oil is a good source of vitamin D.
3. Manages symptoms of diabetes: Cod liver oil helps control blood sugar and inflammation. Research even suggests that cod liver oil be used during the first year of a child’s life to help prevent type 1 diabetes (just make sure to confer with your family doctor first). 4. Relieves muscle pain: Bone and muscle pain can be the result of a vitamin D deficiency. Cod liver oil is rich in vitamin D, making it a practical source to help relieve pain. For seniors, bone and muscle pain may mean they aren’t able to move around as effectively. Using cod liver oil can help increase muscle strength and address mobility issues. 5. Promotes brain health and cognition: Cod liver oil has been associated with treating and preventing a number of cognitive disorders, including depression, ADHD and bipolar disorder. It is rich in omega-3 fatty acids and research shows that it plays a key role in maintaining cognitive function. 6. Fights cholesterol: Since cod liver oil contains essential fatty acids, it helps lower bad cholesterol in the body. 7. Treats arthritis: Cod liver oil’s anti-inflammatory properties can help treat pain, reduce swelling and relieve joint stiffness. It is considered a safe complement to certain medications, although it’s best to speak with your doctor first before adding it to your daily diet. Mix it with a pinch of cinnamon or ginger to make it easier to swallow. Mix one to two teaspoons of cod liver oil into a smoothie. When all else fails, plug your nose and swallow the liquid quickly. Overall, many people consider cod liver oil to be a beneficial supplement. But the side effects of cod liver oil need to be considered before incorporating into one’s diet. For example, too much vitamin A can result in bone weakness. Because the omega-3 fatty acids found in cod liver oil can help prevent blood clotting, taking too much can actually cause bleeding. Pregnant women should inform their doctors before taking cod liver oil. Other side effects may include heartburn, nausea, bad breath, and nose bleeds. It is important to consume cod liver oil in moderation to help prevent adverse side effects. It’s generally recommended that users don’t take more than two teaspoons a day—or possibly less depending on one’s health status. Grossmann, K., “How Do You Take Cod Liver Oil? 12 Tips and Tricks,” The Radiant Life Blog, http://blog.radiantlifecatalog.com/bid/58256/How-Do-You-Take-Cod-Liver-Oil-12-Tips-and-Tricks, last accessed November 25, 2015. “Cod Liver Oil Benefits,” http://www.newhealthguide.org/Cod-Liver-Oil-Benefits.html, New Health Guide web site, last accessed November 25, 2015.